The Erie County Court of Common Pleas is one of the 60 judicial district courts in Pennsylvania. 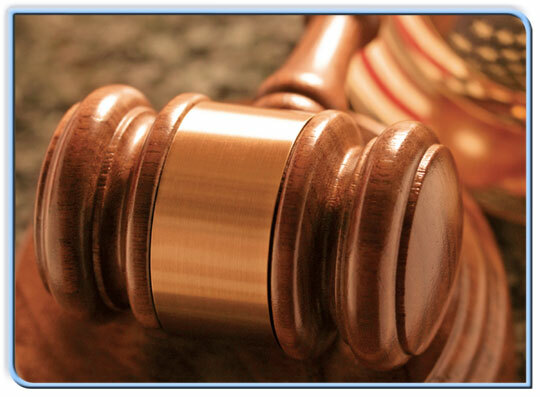 It is responsible for hearing and judging both criminal cases, which involve violations of criminal laws, and civil cases, which include all other types of legal actions such as contract disputes, personal injuries, divorce, adoption, or custody settlements. The Court of Common Pleas also hears appeals from the minor courts, appeals not solely assigned to another court, and all issues pertaining to children and families. The Erie County Court of Common Pleas is headed by a President Judge, who oversees two administrative divisions: the Trial Division, which encompasses all civil and criminal matters, and the Family Division, which includes all family matters, juvenile matters, and Orphan’s Court. The work of each division is coordinated by an Administrative Judge who collaborates with the judges assigned to each division. During 2012, the Erie County Court of Common Pleas heard 106 criminal jury trials and 21 criminal non-jury trials, 13 civil jury trials and 10 civil non-jury trials, 170 custody trials, 2,107 support hearings, 170 custody trials, 313 Orphans’ Court hearings, 623 dependency hearings, and 977 delinquency hearings. A District Court Administrator is responsible for managing all of the day-to-day operations of the Erie County Court of Common Pleas and overseeing all court departments. These departments include Adult Probation, Computer Bureau, Court Administration, Court Reporters, Domestic Relations, Jury Coordinator’s Office, Juvenile Probation, Law Library, the Magisterial District Judges’ Office, Office of Custody Conciliation, and the Protection from Abuse Office. Court administration is divided into three offices: the District Court Administrator, Trial and Family Divisions, and the Magisterial District Judges Office. The Erie County Court of Common Pleas is merely one part of a larger state legal system known as the Unified Judicial System of Pennsylvania. Several minor courts, including magisterial district courts, state municipal courts, state traffic courts, and the Pittsburgh municipal court, are subordinate to the Court of Common Pleas. Officiating above the Court of Common Pleas are the state’s Superior Court, the Commonwealth Court, and the Supreme Court. All branches of the Unified Judicial System of Pennsylvania are responsible for different, specific matters, yet all work together to a whole to ensure justice to the people of Pennsylvania. The Erie County Courthouse, characterized by its distinctive Greek Revival architecture, is located just west of Perry Square on 6th Street. The west wing, built in 1855, is the oldest government building in continuous use in Erie County. The east wing and connecting structures were added in 1929. All licenses, permits, and certifications issued by the county are done through the courthouse (dog, fishing, and hunting licenses, marriage licenses, weapons permits, and weights and measures, just to name a few). 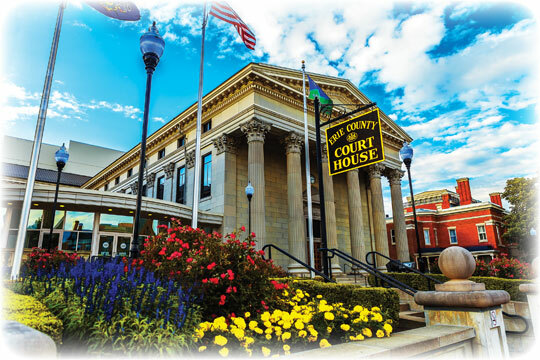 The courthouse also maintains records for the county including civil cases, court transcripts, estates and wills, marriage licenses and realty records. The Erie Federal Courthouse, located just off the east side of Perry Square at 17 South Park Row, was constructed between 1937 and 1938. The courthouse is home to the Erie branch of the United States District Court for the Western District of Pennsylvania. The main courthouse for this district is in Pittsburgh, with a second satellite location in Johnstown. Collectively, this district court has jurisdiction over all federal, civil and criminal matters arising in 25 counties of western Pennsylvania. The federal government presence in Pennsylvania is divided into three federal court divisions: eastern, middle and western. The federal courthouse in Erie, along with those in Pittsburgh and Johnstown, is one of three serving the Western District of Pennsylvania. The Western District comprises the counties of Allegheny, Armstrong, Beaver, Bedford, Blair, Butler, Cambria, Clarion, Clearfield, Crawford, Elk, Erie, Fayette, Forest, Greene, Indiana, Jefferson, Lawrence, McKean, Mercer, Somerset, Venango, Warren, Washington and Westmoreland. The Western District has one federal judge who is appointed by the president and serves his or her term for life. Additionally, there are four federal bankruptcy judges, under a chief bankruptcy judge, who serve 14-year terms. The western division includes one full-time public defender, a U. S. attorney, and more than 50 assistant U. S. attorneys. In 2010, a total of 5,565 cases were filed with the Federal District Court for the Western District of Pennsylvania. The position of District Attorney is one of great responsibility, as that person serves as the chief law enforcement office for Erie County. The district attorney, who is responsible for signing all bills of indictment and conducting all criminal court and other prosecutions in the name of the Commonwealth of Pennsylvania, is elected by Erie County voters. In addition to these duties, the district attorney also provides legal guidance in criminal matters for various police agencies and county departments. The County Detectives Bureau serves as the investigative arm of the District Attorney. The Erie County Bar Association (ECBA), located at 302 West 9th Street, is an organization dedicated to promoting the legal and judicial system, protecting the rights and privileges of all individuals, assisting the courts, providing continuing legal and public education and offering services and benefits to all its members. The ECBA has over 500 members, made up of attorneys and judges with residences or employment in Erie County. Among its services to the community, the bar association offers a free legal referral service for all residents of Erie County. The role of public defender in Erie can be summed up in the statute that outlines their responsibilities: to represent individuals that are charged with criminal offenses where there is a possibility of jail provided they meet certain income guidelines. The public defender’s office, located at 509 Sassafras Street, has eight full-time and eight part-time lawyers. The Erie County Public Defender handles on average 2,500 – 2,900 cases per year, which includes criminal charges ranging from summary offenses that carry the possibility of a jail sentence to all felonies short of homicide. The office also handles all juvenile delinquency and dependency cases (representing the child), mental health commitments, and contempt hearings. Homicide cases are handled by a panel of contract attorneys.